If you have an elderly loved one who lives alone, now you can have peace of mind knowing that help is just a push button away. 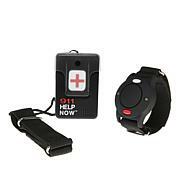 This pendant offers one-touch access to communicate with the nearest 911 emergency dispatch call center in seconds. 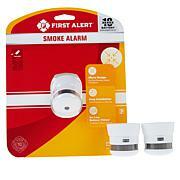 Your loved one can also activate the keychain alarm to sound in case of an emergency. Plus, there are no monthly fees ever. Weight: Pendant - Approx. 2.6 oz. ; Keychain - Approx. 1.28 oz. 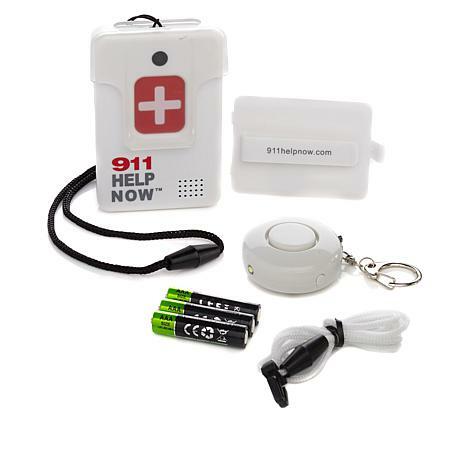 2-way voice communicator works anywhere in the U.S.
Safety comes first in emergency. Bought the device for my mother who is 82, and is by herself during the daytime. I bought these for my Mom and Husband since they are both alone when I am working. My sister-in-law recently lost her husband, so she is living alone now. She lives in South Carolina and we live in Pennsylvania. For our peace of mind, I ordered this for her and had it shipped directly to her house.She got it on a Tuesday and had to use it three days later, as she was having trouble breathing and a racing heart. She was taken to the hospital and it turns out she needed a stent. "It worked"! Probably saved her life. Thank you for offering this lifesaving device. I received mine today, tested it, and it worked great! I feel safe knowing I can reach someone asap. Glad I ordered this device, So far, so good, thanks, HSN! !